And, this Saturday, come and celebrate Hellboy Day with us! 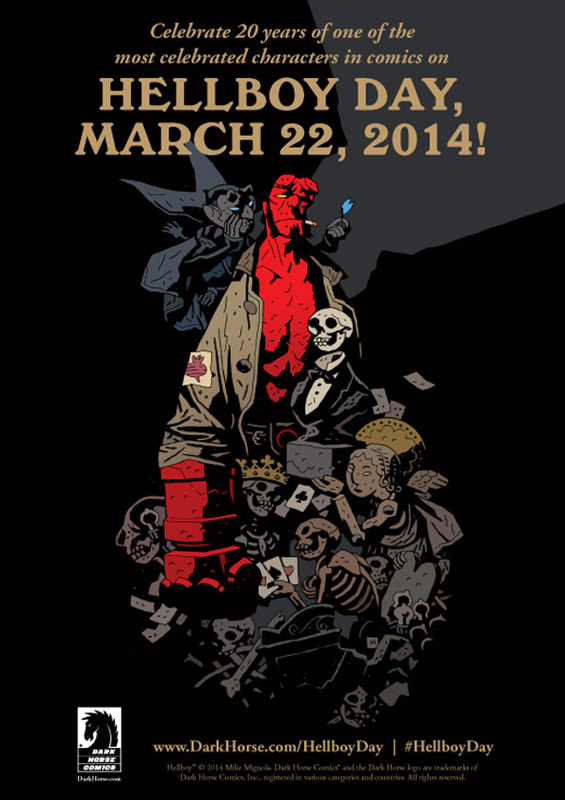 March 2014 marks the twentieth anniversary of Mike Mignola’s career-defining release of Hellboy: Seed of Destruction #1. After the character’s somewhat humble beginnings as an eight-page feature in Dark Horse’s San Diego Comic Con Comics special, Seed of Destruction would begin the long life of the beloved “beast of the apocalypse.” To celebrate, Dark Horse is proclaiming March 22, 2014 as “Hellboy Day,” and we will be celebrating by have a 20% off sale on ALL Hellboy and related books, including Abe Sapien, Sledgehammer 44, B.P.R.D. and Baltimore! Plus, FREE Hellboy sampler comic with any purchase (while supplies last). That’s all day this Saturday, March 22! See you soon!